My Brother MFC620CN inkjet printer is saying 'Y' empty and I have ink in it. It's printing but nothing comes out on the paper? There may be a fault with the yellow Brother LC900Y cartridge or it may be empty. Please contact our customer care team if this item was purchased from Cartridge Save so we can take some more details. 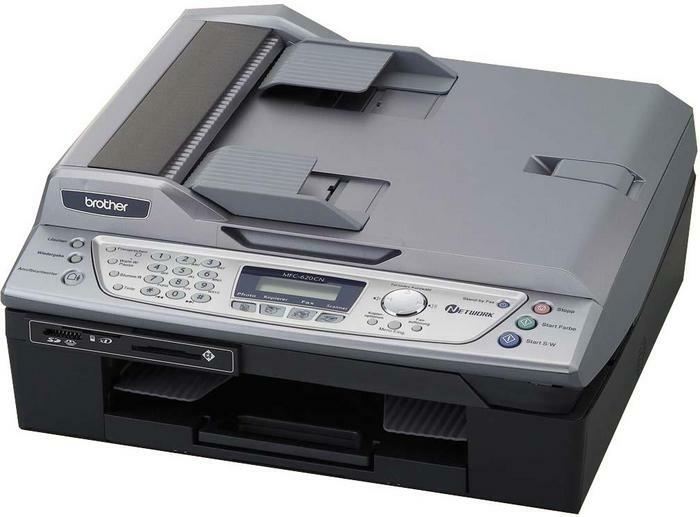 Can I get the 3 colour cartridges for the Brother MFC-620CN without the black? The Brother MFC-620CN inkjet multifunction printer is a jack of all trades; the MFC-620CN printer not only has a copier, fax machine, and scanner, but also comes along with a handset with built-in answering machine. For connectivity, users can choose from the Ethernet and USB. Wi-Fi is optional. The trouble with the Brother MFC-620CN all-in-one is that print speeds are slow. Weighing 13.4 lbs and with dimensions of 17.9 x 15.8 x 6.5 inches, the Brother MFC-620CN is very compact. The Brother MFC620CN printer can fit in small storages and only takes up a small footprint on desks. It has built-in media card drives and offers Ethernet connectivity. The handset and answering machine is on the left side of the main machine, which is comprised of the scanner and printer. The Brother MFC-620CN colour inkjet printer also has an automatic document feeder. The Brother MFC-620CN A4 inkjet printer is surprisingly compact despite its multiple functions. The handset and answering machine is a good addition to the MFC620CN multifunction printer. It's easy to print photos since the all-in-one Brother MFC 620CN has a built-in memory card reader. It's also easy to share the MFC620CN printer as it offers Ethernet connectivity and Wi-Fi is optional. Don't expect the Brother MFC-620CN all-in-one printer to be speedy in printing. The quality of output is average. The Brother MFC-620CN also lacks a PictBridge socket.